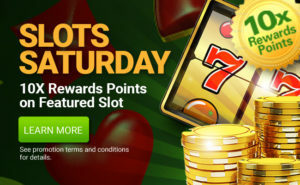 Deposit with promo code WEEKEND25 on Feb 02 and receive a 25% match bonus up to a $100 Bonus. Code may be used one time on this day. 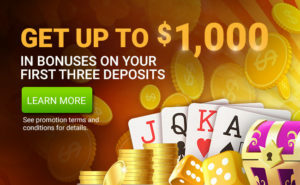 Deposit with promo code WEEKEND25 on Feb 03 and receive a 25% match bonus up to a $100 Bonus. Code may be used one time on this day. The promotion is valid on Feb 02 to Feb 03, 2019. 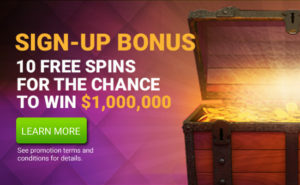 Ends each day at 11:59 PM ET.